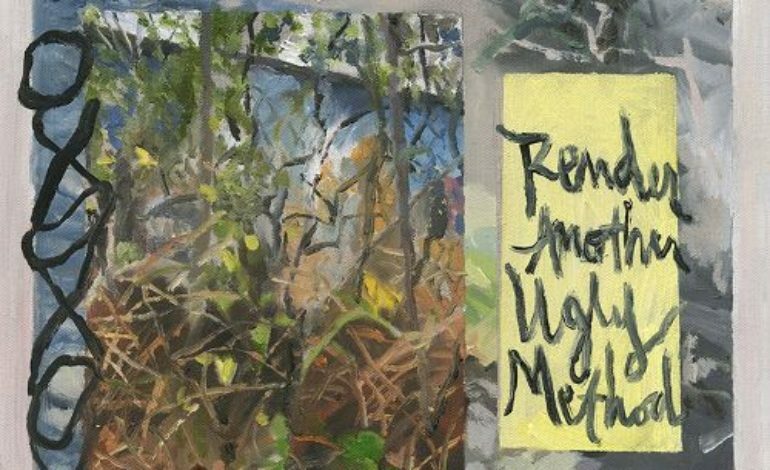 Mothers returns with their second full-length project, Render Another Ugly Method, a beautiful eleven-track effort that beckons for several listens. The ear is courted right away with the opener, “BEAUTY ROUTINE” (yes, it’s one of THOSE ALBUMS) in a soothing drizzle of guitar and keys. It effectively establishes the tone of the album, even though the tracks that immediately follow vary the most in style; the feeling of soaking up a drunken two hours by bobbing in a Palm Springs jacuzzi, yet all the while isolated from all the volume and debauchery that typically accompanies hotel pools. Most of these feel like being a little toasty or being so tired and sleep deprived that you don’t feel sober. Not a bad sell, eh? Kristine Lepscher sings so not all the lyrics are particularly discernable without some aural digging, but the line “Show me a beauty routine to erase me completely” made the tires screech as the car jolted to get into the exit lane for the opening track. That is admirable lyrical writing that pairs well with the rather musically simple melody. A fair number of these tunes could do very well as instrumentals—immersive, textural and inviting (even if they are inviting listeners to hallucinate with them). It’s unclear whether or not these are all one story or if they are scrapbook installments, but nevertheless, many of them are visual. “PINK,” track two, has drive and a unique feeling of being lost. Not emotionally lost, nor lost in the directional sense. It’s a more of an under-tempo time-lapse of a college party through the eyes of someone who’s tripping out. A specific type of lost? Yes, but it fits. Also unclear is whether or not the distortion that fastens the bow tie on the song aids or impedes the feeling of being at a college party, but either way, the ending will likely be the reason this song gets skipped. “‘IT’S A PLEASURE TO BE HERE’” is a lullaby sung by an insomniac, or perhaps a mother who knows that she won’t be getting much sleep anytime soon. The constant, steady guitar strumming seems like someone tapping their finger or moving their leg with an even tempo restless leg syndrome. In another life, this song is the main theme for an introverted protagonist, a pensive lad or lass who is pretty sure that they are totally okay not being popular. Perhaps a different, unrelated character or perhaps the very same introverted girl gets drunk and slowly trashes her studio apartment to the tune of “BAPTIST TRAUMA,” a tune for the sloppy person in all of us. A few of these are on the longer side, one of which is “WESTERN MEDICINE,” which sounds like an older sibling to trying to practice lines for a play while a younger sibling stops at nothing to distract them. Regardless of the specific imagery that comes to mind, it’s here that the album seems less cohesive, even though this song might just be an outlier. Unlike “MOTHER AND WIFE,” another one of the long songs in the album (and the best of the bunch, as detectable by the first note), “WESTERN MEDICINE” doesn’t particularly need its full-minute count and could probably stand to shave off two minutes. These critiques don’t destroy the album but they do indeed stick out to some degree. A flowery oasis is explored by a wandering girl in “MUTUAL AGREEMENT,” a poetic tune that slow dances with the pure soul in everyone. If this song were to get a music video, it would absolutely have to be filmed with cinematic wonder of, say, the time-freezing scene with Quicksilver in X-Men: Days of Future Past. Wonder, trippiness and confusion are all articulated in various ways through this album, and Mothers did a splendid job delivering for the second LP. Give this one a spin on a hot day and just unwind.